As of March 1, 2018, workers on qualifying construction sites in New York City must have a minimum of 10 hours of safety training before they are allowed to work. That requirement is part of Local Law 196, passed in 2017 and now being enforced (at least in part) at a worksite near you. The law, which requires safety plans for qualifying sites as well as safety training for workers and supervisors, is scheduled to be fully implemented by September 1, 2020. Workers at certain job sites receive a minimum of 40 hours of safety training. Supervisors at certain job sites receive a minimum of 60 hours of safety training. A safety plan is in place. These requirements apply to all sites that are required to designate a construction superintendent, site safety coordinator or site safety manager. The law does not cover sites that only involve minor alterations or the construction of a new one-, two-, or three-family home. The training requirement does not apply to delivery people, flag people, professional engineers, registered architects, special inspectors, and department-licensees. Because the training is to be phased in, workers only need to have 10 hours of training at this point. By December 1, workers must have at least 30 hours of training, unless DOB determines the capacity to provide training is lacking, which would extend the deadline for 30 hours to June 1, 2019. The penalties for using untrained workers are stiff: up to $5,000 per untrained worker for site owners, permit holders, and employers. Contractors must maintain logs for all trained workers; the fine for failing to maintain a log is $2,500. At Barasch & McGarry, we’re pleased to see additional safety requirements that could protect workers’ lives. The construction boom of the last decade has been enormously profitable for developers. But rather than voluntarily improve safety, developers have resisted reforms. Many have recklessly put workers at risk while realizing huge profits from their labor. We hope the DOB properly enforces the new safety regulations so that workers obtain the maximum possible benefit. 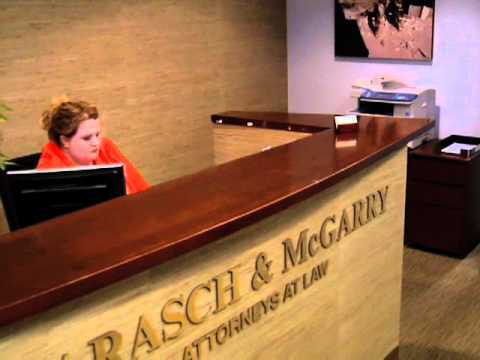 The construction accident lawyers at Barasch & McGarry protect the rights of injured workers throughout New York City. If you’ve been hurt in a worksite accident, call us at 855.539.9189 or contact us online to schedule a free consultation.